These are just two of some 1500 prophecies relating to the Second Coming of Christ. Contrast this with over 300 Old Testament prophecies that relate to Christ’s first coming, all of which were fulfilled, link, link. Surely, on these figures alone, the Second Coming of Christ is absolutely certain! Jesus said no one knows the day or the hour of His return (Mat 24.36). 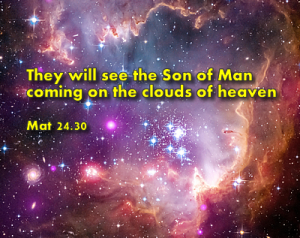 But He gave signs of His return for believers to observe; He said “Watch (the signs) … be ready”. One of these signs is the regathering and restoration of the people and land of Israel, link. Over the last 100 years there has been mass immigration (aliyah) of Jews to Israel. In 1915 there were just 83,000 Jews in Palestine, link, but this increased to 6.2 million in 2015, corresponding to an amazing 7400% increase! As of 2017, out of the 14.3 million Jewish people in the world, 43% resided in Israel, link. So the prophesied regathering is well underway. There is plenty of evidence for this. Despite the fact that over half of Israel’s saline soil is arid or semi-arid and only 20% is arable, the land has still blossomed. Since Israel’s establishment in 1948, the country has almost tripled the territory used for farming, and production has multiplied 16 times. 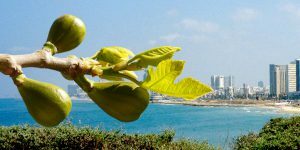 And since 1900 some 250 million sub-tropical trees have been planted in all regions of Israel, from the Golan and Galilee in the north to the Negev in the south, link. Surely, Jesus is coming soon! Technically speaking, the gospel can be preached to virtually the whole world using the internet, satellites or short-wave radio. For example, in India, 99% of the population has radio access link, and by 2016 some 97% of the world population were covered by a mobile-cellular network, link. In this sense, the gospel has already been preached in most of the world. But this does not mean that virtually all of the world has heard the gospel. In fact, two-thirds of the world’s population live in the 10/40 Window, and 90% of the people living in this window have never heard the Gospel, link. This could be due to political/religious blocking of broadcasts, the lack of suitable technology, or the lack of scripture translation. As of 2015 there were about 500 million people with no scripture translated in their language at all, link. See also Revelation chapter 7. It appears that many of these saints will suffer martyrdom at the hands of a godless world government (Rev 13.7, 14.12-13). This despicable person is probably the “beast from the sea” who blasphemes against God (Rev 13.3,6). He draws all Gentile nations against Jerusalem for war (Zech 14.2) – the battle of Armageddon (see later). But God empowers Israel and defends Jerusalem (Zech 12.8). The ‘people’ here are Daniel’s people, Israel. The ‘seventy weeks’ refers to a period of 490 years (with 1 week = 7 lunar years, each of about 360 days). To be compatible with historical and modern-day events, many take the futurist view and see an unspecified time period between the end of week 69 and the start of week 70, with week 70 imminent. For a detailed justification for this prophetic interpretation, see Daniel’s 70th Week. The significant point is that at the end of Week 70, all visions and prophecy have ceased, ‘everlasting righteousness’ has been established on earth, and ‘the holy place’ (Christ’s temple in Jerusalem) has been ‘anointed’. Christ will have arrived! The Second Coming of Christ is therefore strongly associated with Daniel’s 70th week, a period of 7 (360 day) years or 2520 days. For more on this time period see The 1290 days. What happens to Believers when Christ Returns? Here, the Greek word for ‘taken’ is paralambano, which means ‘to take into close association with oneself’, in a positive sense. The Greek word for ‘left’ is aphiemi and means ‘to leave, forsake, omit or lay aside’. So just as Noah was taken out of the world before the judgement of the Flood (see Mat 24.37), so believers will be taken from the earth before God judges the world. John Wesley interprets Mat 24.40 as “One is taken into God’s immediate protection: and one is left to share the common calamities”, link. Note that nowhere here does scripture say that Christ actually stands on the earth. He meets His church ‘in the air’ or ‘in the clouds’. 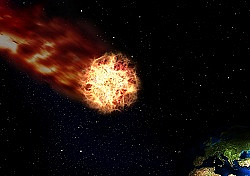 What we have just described is commonly called the Pre-Tribulation Rapture. It fits well with many other prophecies. Will You be one of those Left Behind? The parable of the virgins symbolizes the rapture and the end of the church age. Prophecy says that, at the very end of this age, those who are left behind on the earth will suffer God’s judgement. There will be a traumatic time on the earth with financial, political, social, geological, climatic and cosmic disturbances. Serious stuff is just around the corner! For example, on 12 October 2017 a small asteroid some 15-30 meters in size passed by the earth at just a fraction of the distance of the earth to the moon [Asteroid 2012 TC4, JPL, NASA, 2017]. This traumatic time on earth is probably a 7-year period corresponding to Daniel’s 70th week, link. Details are found in Isaiah 24 and Revelation chapters 6-19. Why such trouble? Because those left behind had rejected the one who came to help them – Jesus. They heard the gospel, but turned their back on the ultimate act of love (God dying for mankind). In contrast, prophecy indicates that the true church will be kept from such things (Rev 3.10, 1 Thes 5.9), as in a pre-tribulation rapture. And those who never actually heard the gospel will be treated justly. More …. Judgment implies a time of testing the works of the saints (1 Cor 3.10-15) – was all work done under the direction of the Lord? The test is one of quality not quantity and appears to determine the authority of a believer in the Messianic Kingdom (Lk 19.11-27). After the marriage, the bride is now ready to return to earth with Christ (1 Thes 3.13). She joins “the armies of heaven … riding on white horses and dressed in clean white linen” (Rev 19.14, Mat 25.31). The New Jerusalem is called the bride because it embraces the bride (all the redeemed from all the ages), and because it is the bride’s everlasting home. We distinguish between the marriage and the marriage supper because, as just discussed, there are many Godly believers outside the true New Testament Church and who do not take part in the pre-tribulation rapture. Nevertheless, they are still part of the first resurrection – the resurrection of the saints – and they too will be at the marriage supper of the Lamb. So let’s complete the picture. Who are these other saints? It seems that at the very end of this age, as Christ returns to stand on the earth, traumatic times in Israel will turn many Jews (Jew in the broadest sense) to acknowledge Christ as their true Messiah, their true “Mashiach”. The tribes of Israel mourn for the One who they pierced (Zech 12.10-14). Summary So Far: So the first resurrection and the marriage supper of the Lamb involves not only the raptured true church, but also all the Old Testament saints and those saints who come to Christ after the rapture and before Christ actually returns to earth (the tribulation saints). A brief 7-year period right at the end of this age sees new believers from the twelve tribes of Israel, and new believers from the Gentile nations. These events must include all ‘perfected saints’, anyone with their name in the Lamb’s Book of Life (Rev 21.27), anyone who is worthy to be part of the New Jerusalem (Rev 21). Some believe this great feast and celebration begins the millennial age on earth (the Church co-reigning with Christ), link. The white horses and white linen, symbolize purity and righteousness. 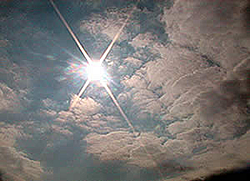 Righteousness comes to banish unrighteousness on earth, and Christ brings with Him armies of ‘holy’ angels (Mat 25.31). Many believe that these resurrected saints return to reign with Christ for 1,000 years (Rev 20.6). Jesus seems to make a reference to the ‘reigning saints’ (Mat 19.28) and Paul says that the saints will “judge the world” (1 Cor 6.2). Moreover, the resurrected saints “shall always be with the Lord” (1 Thes 4.17). All these texts imply that the resurrected saints return to reign with Christ. An alternative view is that the resurrected saints remain in Heaven and do not come back with Christ. It is argued that the word ‘saints’ or ‘holy ones’ (Gk: “hagios”, pure, morally blameless)) refers only to holy angels, link. Jesus said that all the world will see Him return; it will be like lightning in the sky; there will be no mistake; every eye will see Him; He comes unmistakably “on the clouds of heaven, with power and great glory”. We are told to be ready, “for the Son of Man is coming at an hour you do not expect”. The fact that Christ’s second coming will be seen by all, unmistakable, and awe-inspiring is also a warning not to follow false Christs. Where does Christ return to; New York, London, Brussels? No. He returns to the exact place from where He ascended, to the Mount of Olives, also known as Mount Olivet (Acts 1.11,12). This is a long ridge to the east of Jerusalem, and at 820 meters it is Jerusalem’s highest peak. In Jesus’ day it was covered with olive trees. Why is Jerusalem called ‘the City of Truth’? It is because Christ (the Truth) will rule the earth from there as King. Chapter 8 goes on to describe life around Jerusalem at that time – a time of great blessing to those Jews who have returned to Israel. And a time when the Gentile nations honour God’s people, the Jews. Many see this as the start of the millennial reign of Christ on earth, a time of universal peace and a Sabbath rest for the earth. They see this age as essentially Jewish (centered around Israel) and reigned over by Christ and His resurrected saints. Others question whether such a scenario is a correct interpretation of prophecy. For example, since the returning saints now have immortal bodies (like the body of Jesus) we might ask ‘Exactly how do they reign over human (mortal) beings?’ The millennial scenario appears paradoxical to say the least! On the one hand we have the remnant nations and remnant national Israel – all ‘in the flesh’ – whilst on the other hand it appears that earth’s ranks are to be swelled by a multitude of immortal beings! The concept of a millennial age on this earth, with the real Jewish Messiah, Jesus, ruling the nations from Jerusalem is much debated. Is it real or symbolic, and if real, what will life be like? Bible prophecy points to the imminent return of Christ. Are you ready? What will He say to YOU? Some are gathered from out of the nations into Christ's true church, and "the door shuts"
True believers from all the ages are resurrected in the "twinkling of an eye" and raised to meet Christ "in the air"
Attacking nations are defeated, and deceiving spiritual forces are bound. Few would deny that the present age (Church Age) is rapidly concluding as we see signs of Christ's return. Some support for a literal 1,000 years can be found in the creation account. Recall that God rested on the seventh ‘day’’ (Gen 2.2) but there was ‘divine toil’ for the first six days. Similarly, spiritually aware man has toiled for some 6,000 years, or symbolically ‘six days’ (see 2 Pet 3.8) and the earth has never been at rest (Rom 8.22). Following this line of thought, the ‘seventh day’ of the earth will be a 1,000-year period during which the earth (nature) and its inhabitants rest under the millennial reign of Christ. It seems God has permitted man to try and govern the earth for some 6,000 years, and we note that ‘6’ is man’s number (see Rev 13.18). Likewise, an overall period of 7,000 years completes God’s plan for Israel and the nations, and we note that ‘7’ is the number of completion in Scripture, and the most sacred Hebrew number. 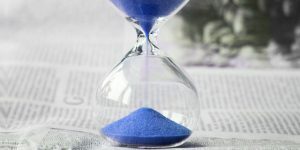 Viewed from the 21st century, the above time-scale is not unreasonable: after some 6,000 years from Adamic man many see world events (climatically, economically, politically, socially and demographically) as rapidly coming to some break-point. 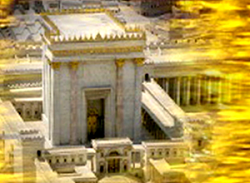 There is much speculation regarding the location of a such a temple (often referred to as the third temple), link. But what does prophecy say? 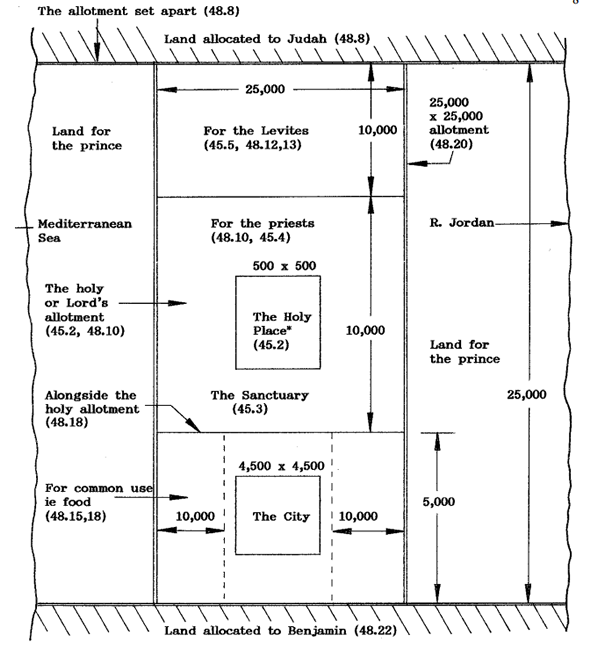 Ezekiel 45 and 48 describe the location of the Lord's sanctuary (comprising inner courts, temple and altar) as being in an allotment of 25,000 x 10,000 cubits. This allotment is north of an allotment of 25,000 x 5,000 cubits which is dedicated to the city and to food production (see map below). But where are these two allotments? Bear in mind that when Christ comes the Mount of Olives, which is east of present-day Jerusalem and the Temple Mount, will split in two. It splits east-west with half the mountain moving north and half moving south, generating 'a very large valley .... reaching to Azal' (Zech 14.4,5). Azal may be several km south of the present-day Mount of Olives, link. Geological Changes: Clearly, according to prophecy the geology of the area will be totally changed. And it is well known that there is a geological fault line running east-west through the Mount of Olives and just south of Jerusalem, link. 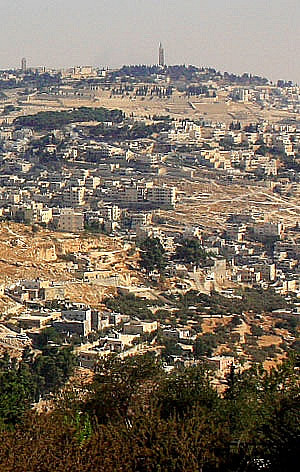 Could it be that present-day Jerusalem is moved north to sit high above this valley? Ezekiel 40.2 and 43.12 suggest that the millennial Jerusalem is elevated. Could it be that these two allotments are located just north of this great valley? Note that waters flow east from the new Temple in the Lord's sanctuary 'down into the valley to enter the (northern end of the Dead) sea', (Ezek 47.1,8).